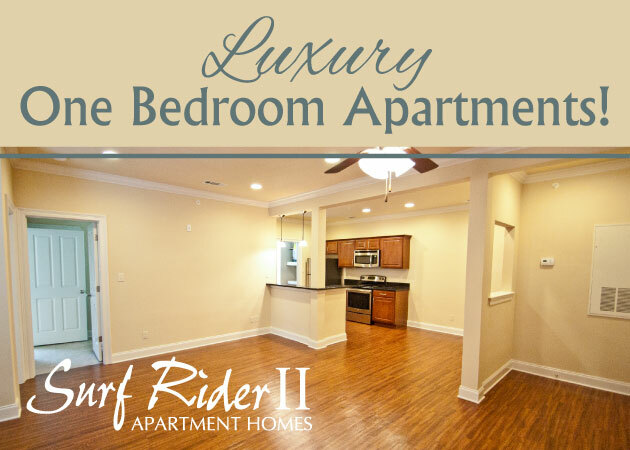 Though we think even our studio apartments are spacious (and full of awesome amenities), space is always a concern. You don’t have to sacrifice style for space, though! Read on for a few easy ideas for home decor for small apartments below. Try a folding chair. You might think of this piece of furniture as one suited only to outdoor spaces, but think again! These folding chairs are ideal for small spaces and look so gorgeous you might not even want to fold them up and put them away. Whether you use them at the dining table or as extra seating for surprise guests, folding chairs are a chic space solution. Ikea Terje Folding Chair — Under $20 and in a recent Pantone Color of the Year shade, Marsala? We’re sold on Ikea’s Terje folding chair. Perfect in the living room, kitchen, or patio, the chair also works as a decorative element – place it in a corner and stack a few favorite books on the seat for a bohemian look. Ballard Louis Folding Chair – Bringing a regal, vintage aesthetic, the Louis folding chair has elaborate cane weaving and lovely carved details. It looks great with a linen cushion (sold separately), but you don’t need one. Anthropologie Terai Folding Chair – The price tag is high, but this chair makes a huge statement. Built-in cushioning provides extra comfort and the graphic pattern (available in a range of subtle shade differences) creates a dramatic focal point. Let there be light. Opting for decor in light hues like white, cream, or rose quartz creates an optical illusion that a space is larger. Since the walls at our 1st Lake Properties are already painted in light hues, we’ve already assisted with half the battle! Mirror, mirror on the wall. Incorporating mirrors into your home decor for small apartments is an easy way to create the feeling of more space. Mirrors — particularly full-length mirrors — add dimension to a room and are an interesting visual focal point. Raise the roof. Try hanging floor-to-ceiling decorative curtains to create a lengthening, heightening effect. You can also use this same approach for a DIY curtain headboard. In New Orleans, you never need a reason to don a costume – and neither does your pet. Whether it’s Halloween, the Mystic Krewe of Barkus parade, or anything in between, here are a few pet costume ideas for your dog. DIY Red, White, and Blue Costume – The theme of the 2016 Barkus parade is “From the Dog House to the White House.” For an easy, DIY costume, you can bedeck your dog in patriotic colors using ribbons tied around his collar. Or, you can browse these patriotic costumes. Bonus points: they’ll double as costumes for the 4th of July! Party City Costumes — Party City’s online shop has dozens of pet costumes to choose from, related to pop culture, classic themes, pirates, superheroes and more. You can also visit the Party City retail store in the Elmwood shopping center right near our new Bella Ridge property. Your feline friend probably won’t be as willing to don a costume, but if you decide she just can’t be without a Mardi Gras getup, consider online shops like Etsy that sell handmade cat costumes. Just remember that Fluffy might be more inclined for a festive collar rather than a full-on costume – most pet stores have a wide selection of cat collars in fun colors and patterns. With startups, medical hubs, and entrepreneurial opportunities, New Orleans is increasingly becoming a global destination for young professionals. Many millennials are moving to the city, and with a new move comes a new consideration: where should I live? We’re a bit biased, but think Bella Ridge is a great choice. We’ve already explored why renting is such a great option, but today we’re taking a closer look at three reasons why Bella Ridge is among the best apartments for young professionals in New Orleans. 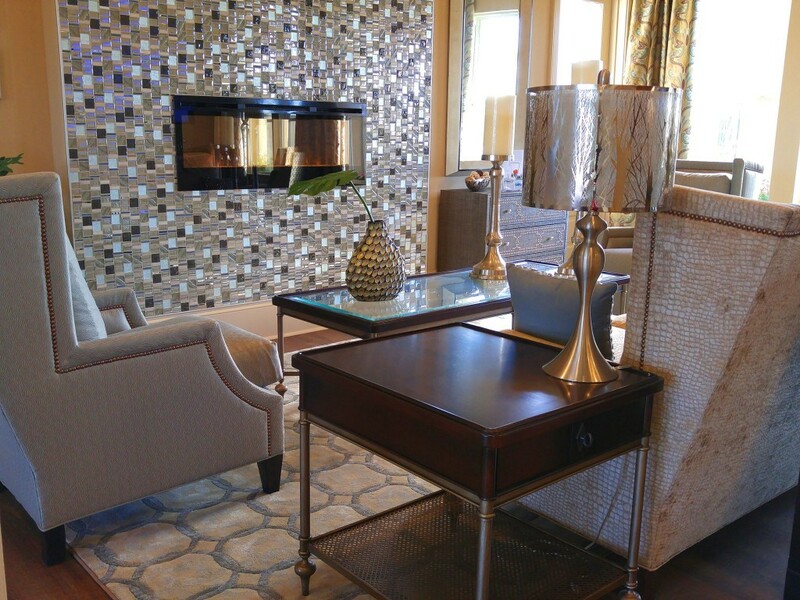 Read on for why these River Ridge luxury apartments are an ideal place to rent. The city of New Orleans has dozens of iconic neighborhoods like the Garden District and the French Quarter, but longtime residents know that life in one of these historic sectors has both pros and cons. Sure, you’re living in a historic space, but that also means living in outdated confines without modern amenities. Other issues include no dedicated parking and sub-par road conditions. Conversely, Bella Ridge offers proximity to New Orleans – it’s just about 10 minutes from the French Quarter – without all the headaches. As a brand-new construction, Bella features state-of-the-art amenities and a dedicated, covered parking garage. It’s also spacious and energy efficient. In addition to being near downtown New Orleans, Bella Ridge also boasts close proximity to major shops and restaurants. Living just outside downtown New Orleans gives young professionals a lot more bang for their buck. We recently compared a downtown property to our Bella Ridge property, and in terms of value, the results were staggering. Bella Ridge offered 100 additional square feet, better amenities, and free parking for nearly $1,000 less per month than a comparable downtown property. If you add in parking (which isn’t included in downtown apartments) the value differential increases even more. We mentioned how Bella Ridge offers better amenities than comparable downtown apartments – but what exactly does that mean? First and foremost is free covered parking. You’ll never have to fight for a spot, and you’ll never get stuck in inclement weather. Our parking garage is clean, lighted, and a great way to add a layer of ease into your daily routine. Bella Ridge also features a beautiful outdoor pool with a built-in tanning ledge plus a state-of-the-art fitness facility. If you have a dog, you’re in luck: we’re big animal lovers at 1st Lake Properties, which is why we’ve included an on-site dog park called Bella Bark at our Bella Ridge property. All in all, if you’re looking for the best apartments for young professionals in New Orleans, put Bella Ridge at the top of your list! Learn more today about specials and other promotions – we’d love to hear from you. There are so many reasons to incorporate houseplants into your design scheme: they enhance oxygen and purify the air, they can improve attentiveness and focus, most of all, they’re just plain pretty. Home décor with plants is stylish and easier than you might think – just see our decorating tips below. Transform a corner with an air purifying plant. Large fig (ficus) trees are some of the most purifying plants you can bring into your home, and because of their size, they’re a great way to brighten up a corner. Instead of placing an occasional chair in an empty corner, try a fiddle leaf fig tree in an attractive ceramic pot. A Rubber Tree is another variety of ficus that looks great indoors due to its glossy, thick leaves. Decorate a desk with succulents. Have an at-home office space? Beautify it with low-maintenance succulent plants that require very little watering. Depending on which vessel you choose to house the plant, you can achieve different types of décor. Try a rustic terracotta pot for a traditional look, or opt for a high-gloss, pure white ceramic pot for a minimalist and modern feel. You can also make your own terrarium for a similar effect. We’ve already discussed how a large fig tree can bring life (literally!) to a corner – but what if you want to move it to another room later on? A rolling plant caddy is an easy and affordable solution. Beautify the bathroom with orchids. There’s nothing quite like a long, hot shower at the end of a long day. Take advantage of all that humidity by placing a beautiful orchid in the bathroom. Orchids love steamy environments, so they’ll thrive in the bathroom while also adding a pop of color. Remember, these plants also enjoy light, so move them to a light-filled room from time to time if needed. Rows of topiaries look great on the mantle, particularly for those who prefer a romantic or traditional design style. Live ivy topiaries are affordable and reasonably low-maintenance – as they grow, they give off a whimsical, fairytale ambience. You can also copy the look with faux topiaries (we won’t tell!). P.S. What if you’re worried your thumb isn’t so green? Check out our definitive guide to caring for indoor plants. No matter what holiday you choose to celebrate this time of year, we believe that everyone can participate in the collective spirit of giving throughout the winter season. That’s why year after year at 1st Lake Properties, we partner with local charities to lend a helping hand to members of our community. This holiday season, we worked with the Apartment Association of Greater New Orleans to host a toy drive benefitting the Metropolitan Center for Women & Children and Angel’s Place, a charity for families with children diagnosed with life-threatening illnesses. We also participated in an ongoing, yearlong campaign to fundraise for the United Way. All the results are in, and we couldn’t be more pleased with how much 1st Lake Properties employees and residents were able to help our community! Our recent toy drive and United Way fundraising efforts were a huge success! Our ongoing toy drive aimed to make the holidays memorable and happy for all children, even those living at a shelter like the Metropolitan Center for Women & Children or suffering from life-altering diseases like cancer at Angel’s Place. The toy drive allowed us to fulfill many holiday wishes for sheltered families and hospitalized children in the Greater New Orleans area, and we give thanks to all those who participated in the drive. “These gifts represent the generosity of our team members and residents at 1st Lake Properties,” says Stacey Shane Schott, our senior vice president. We are grateful to share our blessings with underprivileged members of our community in hopes we all can enjoy a more peaceful and bright holiday season. Throughout 2015, 1st Lake Properties held an ongoing drive benefitting United Way, the global organization with a Greater New Orleans branch that aims to end the cycle of poverty. We are proud to report that we raised $9,776 for United Way through payroll deductions, cash donations, a raffle, and Jean Day, where 1st Lake Employees were allowed to wear jeans to work for a $5 donation. Our local chapter of United Way will use these funds to build a stronger support system for people in need, from education and career opportunities to health services and beyond. If you feel compelled to assist any of these amazing local organizations, please visit their websites at www.mcwcgno.org, www.AngelsPlaceNOLA.org, and rebuildnola.unitedway.org. Monetary donations, volunteer opportunities, and donations of goods are all welcome. We’ve found throughout 2015 that the old saying is true: it truly is better to give than to receive!